I started this book because of a friend I have met on Goodreads, Katie (blogger of A Writer’s Faith), who read it and gave it five stars. That got me interested and then I got the book from the library for free to keep (that’s another story). So, this was a fantastic book! What a roller-coaster! I’ve never read anything like it (I guess you would consider it steampunk). It was so different from other fiction books I have read. On June 28, 1914, Alek’s parents are murdered. Now forced to flee with only a few loyal men and a fighting machine, Alek is a prince turned fugitive. Deryn, a girl, pretends to be a boy to become a soldier in the British Air Service. She must protect her secret and keep her oath to the Air Service and King George. Later, they are thrown together aboard the great airship named the Leviathan. Though fighting together for the moment, their homelands are on opposing sides. It’s Britain’s fabricated beasts against German’s steam-powered war machines. One of the things that made me love the book was how different it was from other books I’ve read. 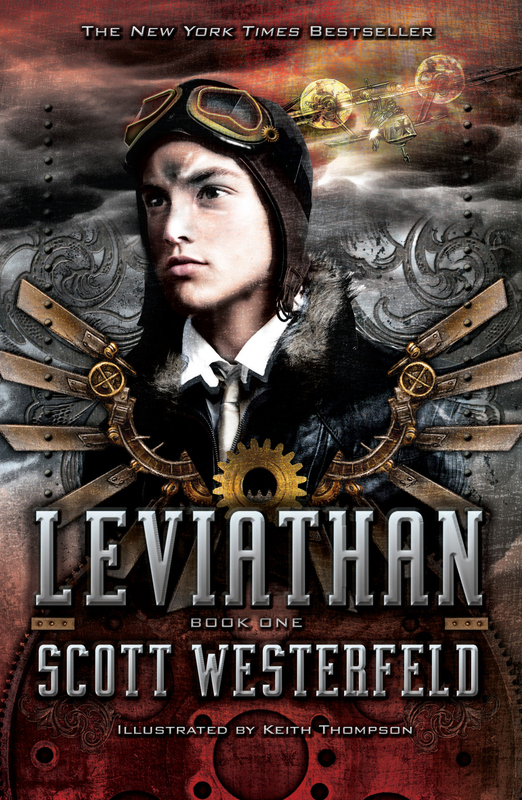 The setting is at the beginning of World War 1 but Mr. Westerfeld changed quite a few things. Britain, through Charles Darwin, has learned to take DNA from different species and create new species for war. German and Austria-Hungary have created very advanced war machines. It’s beastie versus clanker. So, it is not a very Christian novel, but what can you expect? Not every book is going to meet your standards. It was still a pretty appropriate book, in this case. I will say that there is some language and, of course, plenty of action and violence. It was quite a entertaining book. The excitement, the creatures, the machines, the danger, the battles, the mysteries, the secrets, and more made it so interesting and fun. It’s such a fast page-turner. I can’t wait to get the next one!!! I’d recommend this to anyone who loves fiction and a bit of World War 1 history mixed in. You’ll enjoy it. So…about three days ago I was flipping through Holiness of God by R.C. Sproul (I actually read it almost three years ago). I came across a section about God’s grace and I thought that might be a good topic to discuss. But first, for starters, we must know what the word “grace” means. So what does grace (biblically) mean? Grace means (at least from the dictionaries I’ve looked at) the free and unmerited favor of God. My mother use to explain it like this: grace is getting something that you don’t deserve and mercy is not getting something that you do deserve. Mercy, you say, I thought we were talking about grace? I know, I just want to make sure that you know the difference between grace and mercy because they’re definitely NOT the same thing. Mercy is forgiveness given to someone by someone who could punish them instead. Grace is blessings given to someone who should be punished. Okay, now that we know what the word “grace” means, what does God’s Grace have to do with us (as Christians)? God’s grace is one of the foundational reasons why we can be saved and be “Christians”. Without God sending His one and only Son to suffer and get the punishment we deserved, we wouldn’t be able to be saved. Jesus taking on all our sins and dying to give us the chance to be able to believe in Him and live in Heaven after our life here on Earth, that’s grace. I think this Bible verse states how we are saved quite clearly. We are all saved by grace. There’s not one person who lived, lives, or will live that has not been saved by grace. This next verse also says what God’s Grace does. The grace of God, His undeserved favor, has come. This saving grace brings salvation to all people. Isn’t that amazing? 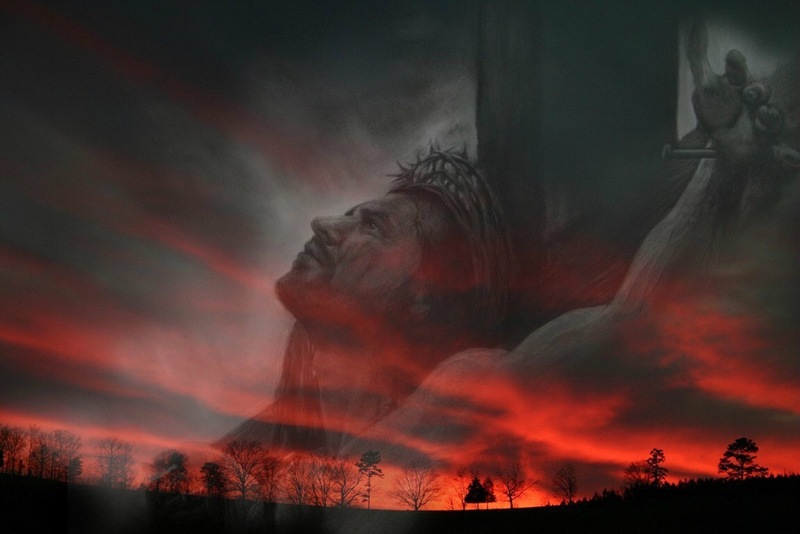 God’s grace is the reason Jesus suffered and was tortured to death. Because he did that for us he was taken from his position “a little lower than the angels” to now where he is seated at the right hand of God “crowned with glory and honor”. We must always remember that God’s grace is free and undeserved, as the verse states above. It wouldn’t be grace if it was not free and undeserved and it wouldn’t mean anything either. We can not comprehend how much grace God has given us, but God’s grace is not infinite. There will come a time when judgement will fall as described in Revelation. As Jude wrote above, we should not use God’s grace to our advantage. Look at what James says. If people use God’s grace as a free ticket to live immoral lives, thinking that they won’t get the consequences that come from sinning (which they will), are those people even saved in the first place? If you are saved by God’s grace, you should want to follow Christ because God, through the Holy Spirit, has given you the need or want to follow Him. ‘Twas blind, but now I see. Doesn’t this portion of the song speak such truth? God’s grace has saved us all. We are so blessed to have such a gracious God. What can I say??? This book, the second in the Ilyon Chronicles, left me speechless. I can’t say that I “loved” what happened in this book (Some parts made me want to cry and I do NOT cry. ), but I loved the book immensely. In the first book we see only Humans, peaceful Talcrins, and some terrifying Ryriks (not including Jace). In this book we are introduced to the Cretes and some creatures known as dragons. 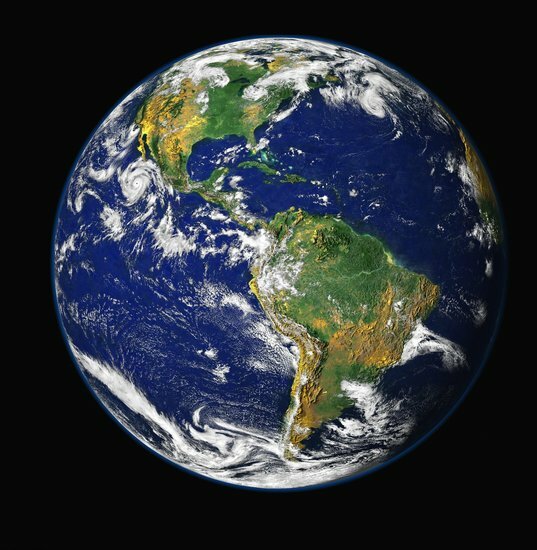 I just love this world with all the different races and fantastic creatures. After the events that transpired in Resistance, things are looking up for those in Landale Forest. Winter is approaching and everyone is looking toward a few months of quiet peace. That is, until cretes arrive on dragons bringing information that could change the future for the “traitors”. Hidden in a valley is a crete who is known to have the last surviving copy of the King’s Scrolls (also known as the Word of Elôm). Together with the cretes, the people of Landale must race against time to find the faithful crete and bring him to safety before Emperor Daican’s men catch him. The main characters are still Jace and Kyrin, but I think this book focuses a bit more on Kyrin and her family (The Altairs) which includes William (Father), Lydia (Mother), Marcus, Liam, Kaden (He is one of the two secondary main characters who we meet in Resistance. ), Michael, and Ronan (also known as Ronny). I have to say that I absolutely love Liam! He is such a good guy just trying to walk on the right path. Another character that plays a significant role is the General (Lydia’s Father; Kyrin and her siblings’ grandfather). There are also some new characters you will come to know and love. In this book Jace faces a fear he has had most of his life and struggles with pain. Kyrin deals with pain of a different kind. 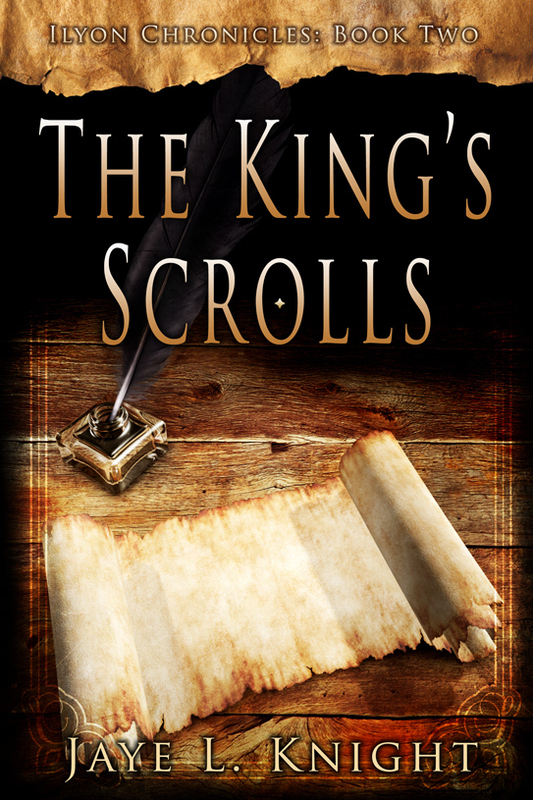 The King’s Scrolls was very well written and descriptive. I was fully immersed in this beautiful tale. I can’t stop thinking about it! It was amazing. Through the whole book I felt for the characters every step of the way. It was wonderful. It was very fast-paced and will keep you on the edge of your seat during the whole book. I would recommend this book to absolutely anyone who loves Christian Fiction. You certainly don’t have to love fantasy to love this series. It will capture your heart. A few months ago I went through the book Philemon in my history curriculum. I was amazed to find so much depth in about a 430 word book. Now I’m not going to read through the whole book with you, but I decided to pull a portion out to read. I’ll take it and break it down piece by piece (or verse by verse, you might say). Before that, I like to shine some light on the background of this letter: Philemon was a wealthy man living in Colossae who had a big enough house for a church to meet in. If he was like the average wealthy man at that time, his household could of had several hundred people in it. 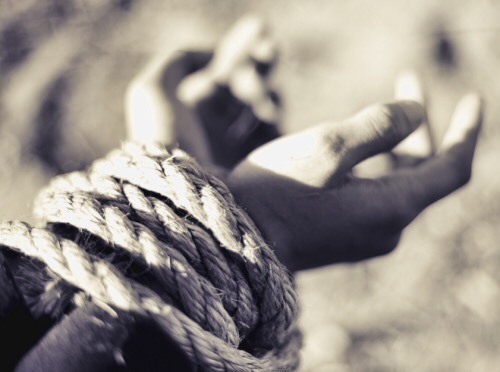 Onesimus was one of his many slaves. Onesimus stole something (we don’t know what exactly) and ran away. Then he sought Paul out. He couldn’t have just met Paul in the street because Paul was a prisoner in Ephesus (we also don’t know why Onesimus went to Paul). So Paul writes a letter to a hurt and angry Philemon (and to the church) and probably has Onesimus take it to him. Now, lets read some of this letter. So this is pretty simple. Onesimus has recently come to faith in Jesus Christ. Paul, while stuck in prison, has become a father/teacher to Onesimus. In this sentence, there is a underlining pun (which many moderns consider the lowest form of humor). You see, the name Onesimus means “Useful”. So really Paul is saying that: “Useful hasn’t been of much use to you in the past, but now Useful is very useful to both of us.” Ha! Funny, isn’t it? Paul is politely asking to keep Onesimus with him while he is in chains. He doesn’t want Philemon to be forced to help, but be willing to help. Philemon lost Onesimus for a little while (when he ran away) so that he could have him back forever as a brother in Christ. He is much more valuable now because he is a brother in Christ. As I said earlier. Paul wants Philemon to forgive Onesimus and welcome him back. Another way of saying it is: Paul wants Philemon to do for Onesimus what he would do for Paul. And Philemon has been praying for Paul’s freedom. Paul usually had people write out what he said in his letters, but in his own handwriting he writes that he will pay back whatever Onesimus owes to assure Philemon that he will. Philemon is such a good friend to Paul that he trusts that he will do ALL that he has asked and even more! Isn’t it amazing how much trust Paul places in Philemon? Now some people may ask: is Paul saying that slavery is acceptable or okay because he sent Onesimus back to his master? The answer is no. Paul was giving Philemon subtle hints of key beliefs of the Bible that would lead him to the conclusion that slavery is wrong. Paul did NOT believe in attacking social evils. He wanted Christianity as it was to lead people to the right conclusion. Can you also see that Paul is acting as Christ to lead Philemon and Onesimus to reconciliation? It is beautiful to see how much care and effort Paul worked to set all to right between them. We should all try to strive to be like Christ, helping our fellow members in Christ to live in harmony as one body (the church). 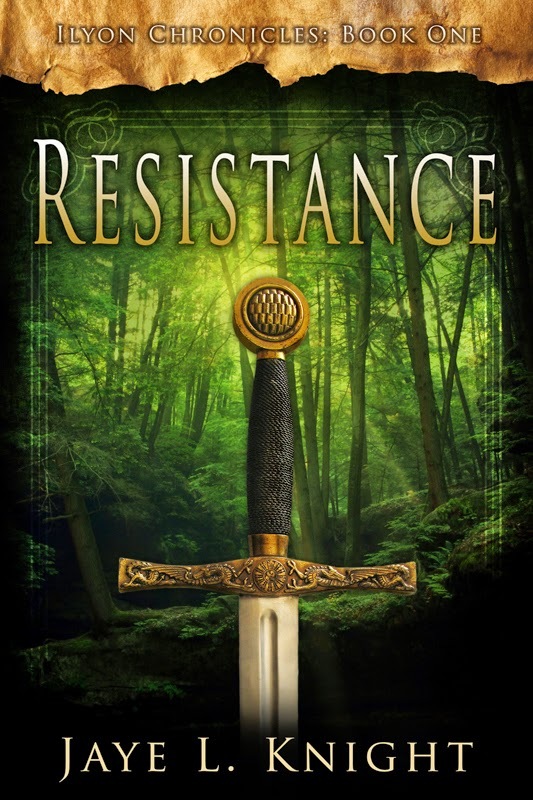 When I first heard of Resistance, I was afraid that it might be preachy. So I dismissed it at the time, thinking I might, might read it later. A little while later my friend Amanda (blogger of Scattered Journal Pages) read it and said that it was amazing. So I decided to read it. And man was she right! 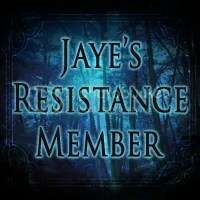 Resistance is the first book of the Ilyon Chronicles. It is a thick book, but I read it in four days (I would’ve finished quicker if I hadn’t had school.). I absolutely loved this book! I’m so excited to read the rest of the series, but sad too because I have to wait for most of them to come out. I haven’t read many books from Christian Fiction authors (Bryan Davis is one of them, his books are amazing!) and this is the first time that I’ve ever read anything from Jaye L. Knight (also known as Molly Evangeline), but I have to say this is definitely one of my top Christian Fiction books. You won’t be disappointed with it. Naturally this book has two main characters: Jace and Kyrin. Jace struggles with his past and who he is. Kyrin, on the other hand, knows who she is. She is a follower of King Elôm, when most people in Ilyon follow Aertus and Vilai. If Emperor Daican finds out about her beliefs, she may be killed. There are also two secondary main characters: Rayad and Kaden. Rayad is a mentor/father figure to Jace and teaches him about Elôm. Kaden is Kyrin’s twin brother. He has a temper and is very protective over his sister. I can’t really find any fault with this book. The characters are so well described that you really feel for them (Like you are there experiencing all their pain, joy, fear, etc.). It is so well written and descriptive. At the start of the book it can get a bit overwhelming with all the different characters (But isn’t that with all books? ), but from there it adds and takes away characters gradually and you can remember who’s who quite easily. It was very fast-paced and swept you into the world of Ilyon right from the start. I never wanted to put it down. I’d recommend this to anyone who loves Christian Fiction no matter if they like fantasy or not. It definitely does not really seem like fantasy. This book was spectacular, go ahead and read it then you’ll see for yourself. You can support the author by ordering it from her website: Jaye L. Knight! She will even autograph it if you ask her. Hey! My name is Gabriela. 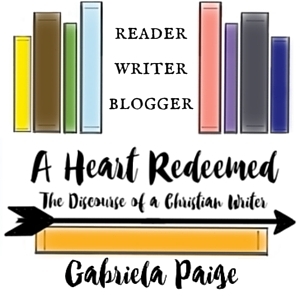 Welcome to my first blog, A Heart Redeemed. Starting this coming week, I will try to post something every Monday, Wednesday, and Friday. There will be book reviews, author interviews, blog tours, and more. I hope to share doses of my faith in Jesus Christ too.